The Best Santa Letter Book Ever! Enjoy the Milk and Arsenic-laced Cookies, Santa! It’s very common for young children to confuse their “b”s and “d”s when writing. 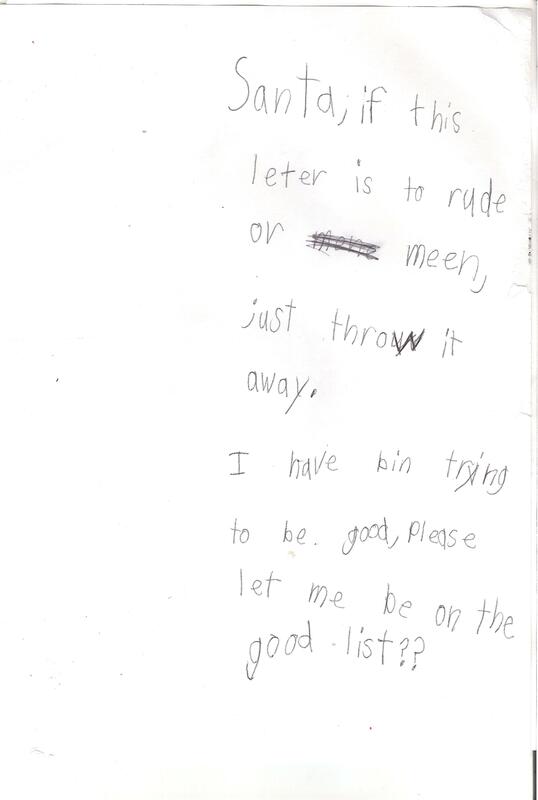 Katina’s 6-year-old daughter had just such a mix-up when composing her letter to Santa this year. 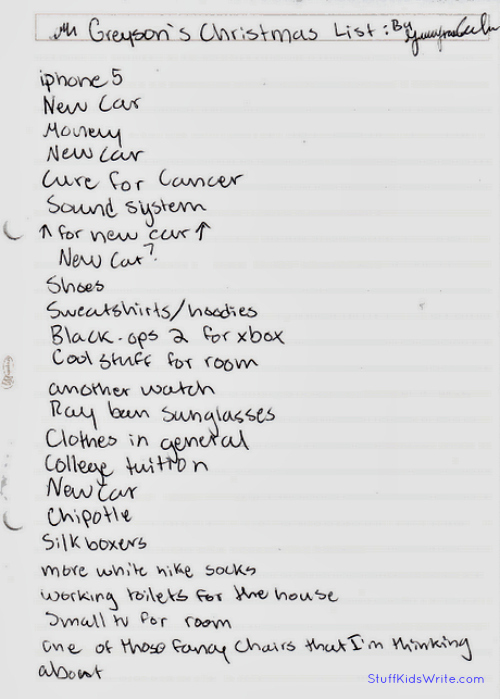 Still, might not be a bad idea for the Jolly Ol’ Elf to make sure he brings everything on her list. After all, roofs can get awfully “slippery” on Christmas Eve. It’d be terrible if there was an accident. 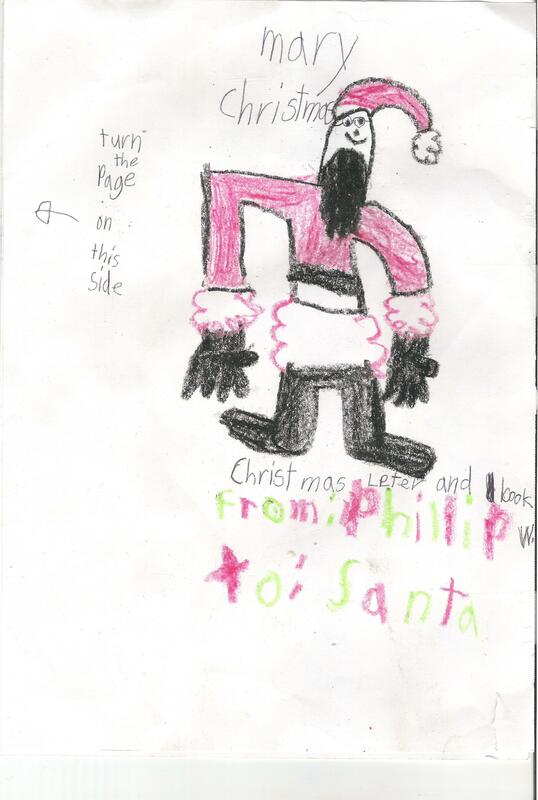 Thanks to Katina for sharing this Santa letter with SKW’s readers! Won’t you please share, as well? 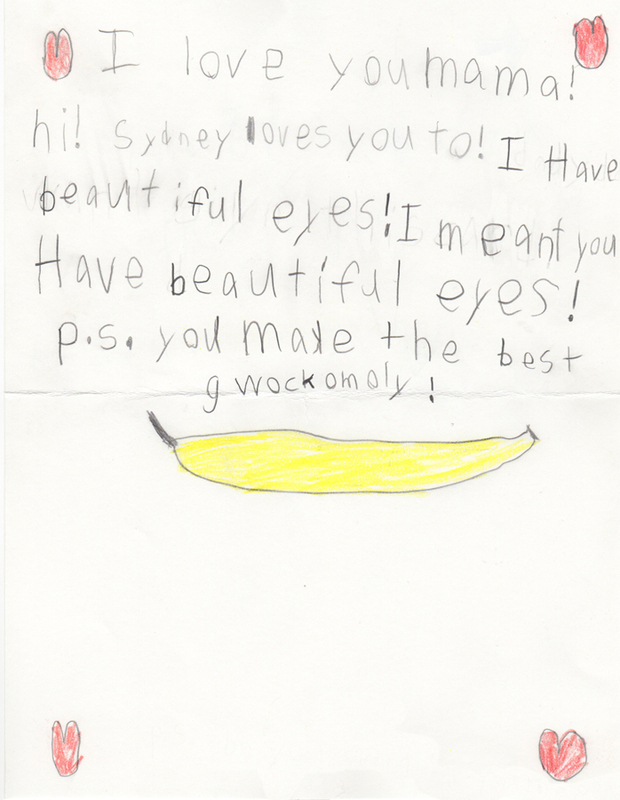 Submit your snapped pic of a child’s writing to mcfadden.chase@gmail.com or leanneshirtliffe@gmail.com. After all, ’tis the season of giving, and laughter is really easy to gift-wrap. You’re never too old to write a Dear Santa letter, especially if you need working toilets in your house. Sixteen-year-old Greyson seems to have it all going on, except for—as previously mentioned—properly working toilets. Check out Grey’s list yourself. Thanks to Grey and his awesome mom, Ginger. Please check out Ginger’s own writing at her blog and her Facebook Author Page. In the comments, please tell us: What would have been on your “Dear Santa” list when you were sixteen? 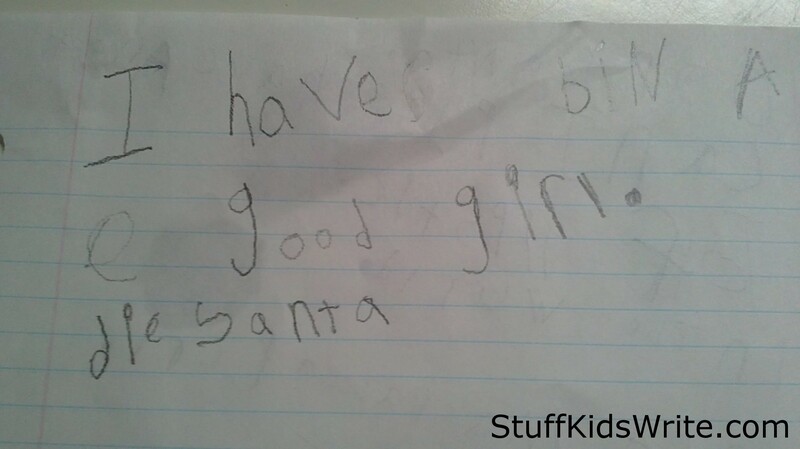 If a child you know has written any funny Santa lists, please consider sharing them with the audience of StuffKidsWrite. Email us at mcfadden.chase@gmail.com and leanneshirtliffe@gmail.com. 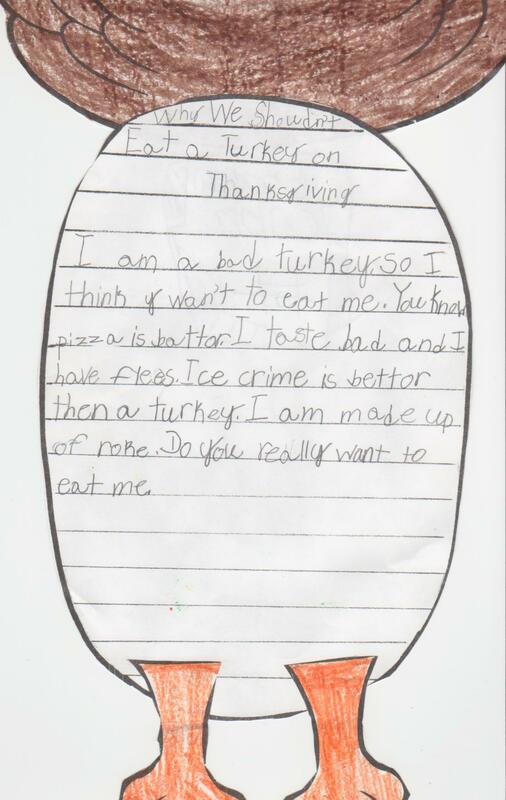 Written by SC, age 7. Brad from CampusLIVE snapped this pic. The letter hangs on his friend Noelle’s parents’ fridge. 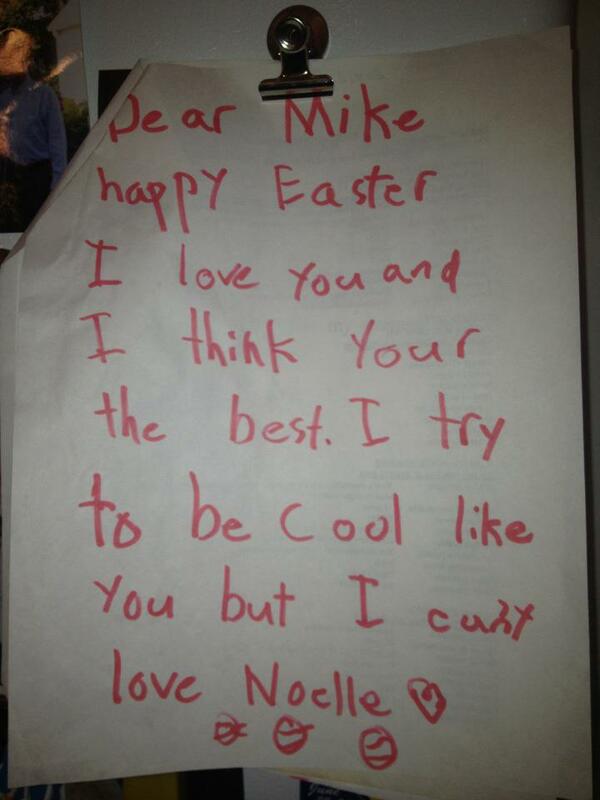 She wrote it to her brother Mike when she was a kid. Hope you and yours have the coolest of Easters. Occasions such as Thanksgiving and Mother’s Day seem to bring out Hallmark moments in children. School backpacks burst with bent cards that beg to be hung on our fridges. 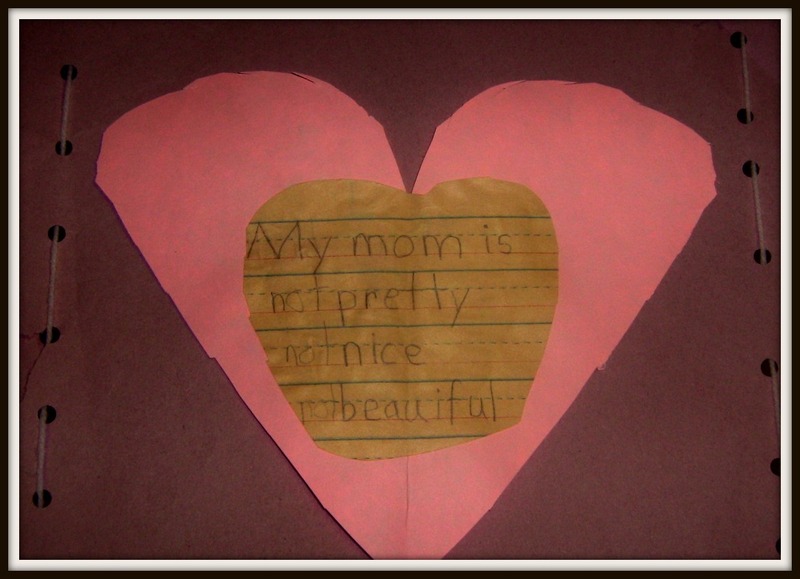 When her daughter was in Grade 1, she made a beautiful Valentine’s Day card for her mom. Hint: to pronounce “beauiful” without the “t”, pretend you’re Jamie Oliver. Katie, as proud parents are wont to do, hung the declaration on the bulletin board in her office. I can imagine her looking up at it and smiling. She’s again at her desk. She looks up at the note again. 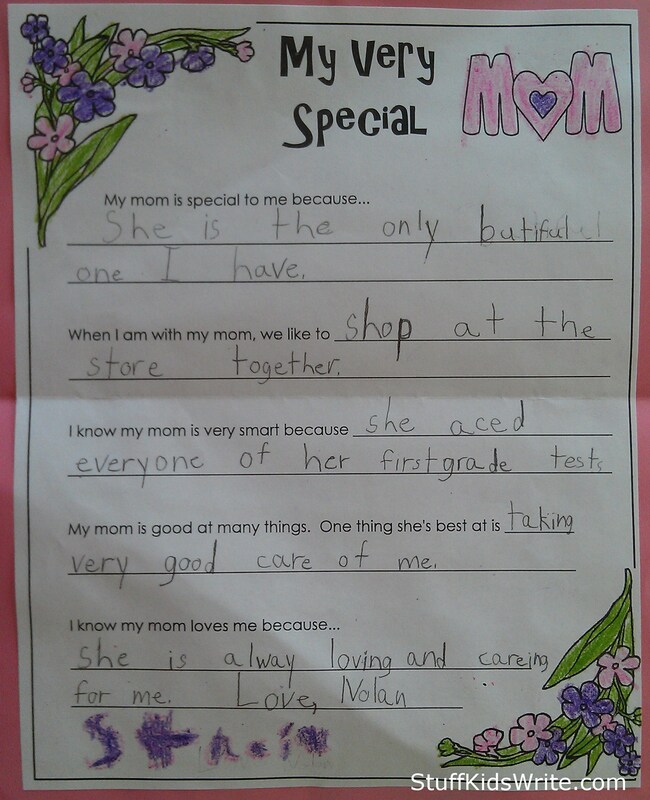 Yes, her daughter had edited the card. Not. 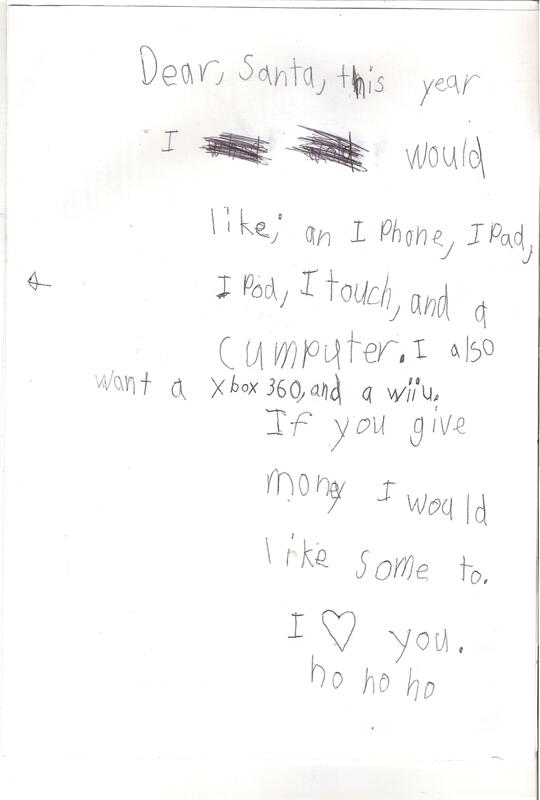 A six-year-old demonstrates the power of a single word. 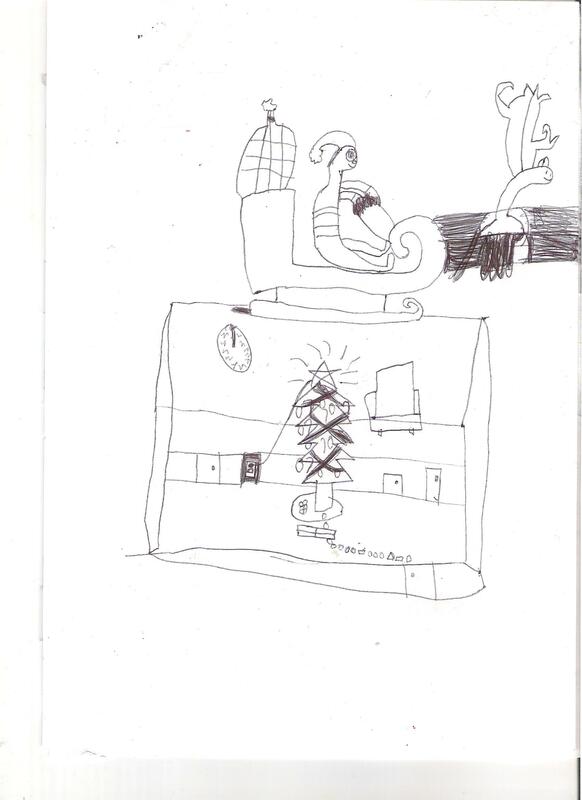 Please see the sidebar for information on how to submit to Stuff Kids Write.